Sarah Heslip is a New York State Licensed and Board Certified acupuncturist and herbalist. She holds a Bachelors of Arts from Bard College and is currently completing her Doctorate in Acupuncture. In addition to completing her clinical training at the Pacific College Acupuncture Clinic, Sarah also worked at The Housing Works Association Medical Center, in Brooklyn, NY, where she had the privilege of treating an underserved community in her neighborhood. 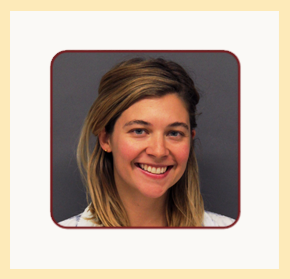 Sarah has experience treating a wide range of both acute and chronic conditions, with a passion for reproductive health and psycho-emotional disorders. Sarah provides treatments uniquely attuned to each patient’s specific needs, teaching them the skills they’ll require to take their physical and mental well-being into their own hands. She is committed to effective interventions for many conditions, and believes that hands-on care, compassion, and collaborating with patients to devise strategies for their sustainable health are the essential tools of healing.